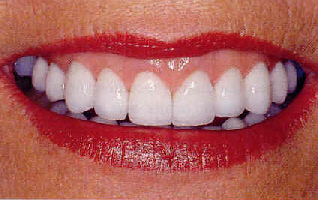 Crown Lengthening is a procedure that has many applications. 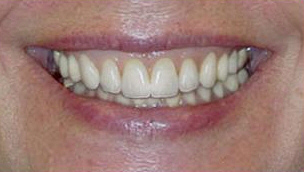 You are a candidate for this procedure if you wish to "lengthen" the amount of visible tooth for cosmetic reasons when you think you have a "gummy" smile or if your dentist has advised you that more tooth structure must be exposed so that the tooth can be properly restored. 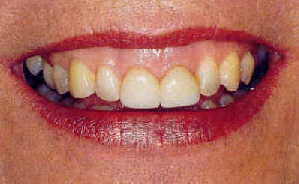 There are several indications for crown lengthening periodontal surgery. When the crown of a tooth is badly broken down because of a cavity or a crack, you may be able either to build up the tooth with a restorative material and pins or you may have to increase the length of the exposed portion of the tooth surgically. 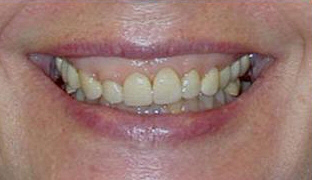 Crown lengthening surgery is essentially similar to other various periodontal surgical procedures. The area to be treated will be numbed profoundly with a local anesthetic. After it is determined that the area is fully anesthetized, the surgery will remove an appropriate amount of tissue to achieve the desired result. Often a few sutures (stitches are necessary and usually the area is covered with a putty-like packing material to protect the site for a week. Most patients are back to work the next day. � 2011 Copyright. All rights reserved.